The weather may be more suitable for sunbathing on the beach than playing football, but Hastings United will contest their second pre-season friendly tonight (Tuesday). 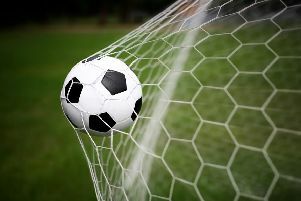 Ryman Football League Division One South side United will entertain an Eastbourne Borough team which plays two levels higher up the non-league pyramid in National League South. The match could see United manager Darren Hare come up against his son Josh, a former Gillingham defender who has joined Borough ahead of the 2016/17 campaign. Kick-off at The Pilot Field is 7.30pm, and admission is £6 for adults and £4 for concessions with under-18s going free. United lost 3-0 at home to a Brighton & Hove Albion XI made up of under-21 and under-18 players in their opening warm-up game last Wednesday, when supporters got a first look at new boys Steve Watt, Wayne Wilson, Matt Bodkin and Frannie Collin. Borough have already contested two friendlies, drawing 0-0 away to Tunbridge Wells and losing 3-0 away to Havant & Waterlooville. Hastings United’s pre-season schedule: Tuesday July 19 Eastbourne Borough (h), Thursday July 21 AFC Uckfield Town (a), Saturday July 23 Welling United (h), Tuesday July 26 Eastbourne Town (a), Tuesday August 2 Westfield (h), Saturday August 6 Havant & Waterlooville (h).